One of my favorite things is when I see albums with cheesy 90's artwork that look like they should be the covers to bad playstation games. I was thinking it would be cool to share some of those bad album covers and to discuss what the hell they were thinking. Sweet another horrible album covers thread. Well there's Jag Panzer's Dissident Alliance. I don't even know what the hell's going on in it, but it's always stuck in my mind. Dinosaur eggs next to a Stargate. Haven't we had enough of these? I think all of these are in the other thread already. Please tell me this is the highest resolution possible for this album cover. Neh, I think it's a fun topic and it's way less random and chaotic than the ulgy covers thread. There's a lot of charm and hilarity in those super bad 90's album covers. 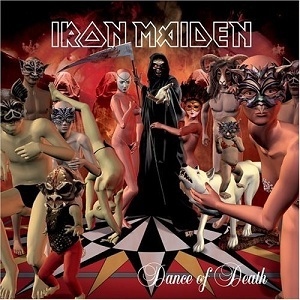 Apparently, w/Iron Maiden's Dance of Death that was meant to be the first draft by the artist, but Harris was so impressed that he insisted it be the final cover. No idea if it's true but certainly a nice story! Hell yeah these rule. How these ended up being the final album covers boggles my mind. Makes me wanna play some MK4 or something. Our little friend at the bottom here brings this cover into this category. aside from the incantation cover. so one out of this entire damn thread. I wonder how many people assumed that was a link to the bad artwork thread without even bothering to click on it. I am guilty as charged. I stopped looking at the bad covers thread when I saw some animal abuse/gore. That's pretty much where I draw the line. It might have been in some kind of hunting or survival context, but everyone has limits and that's mine. Human gore and accident pictures I can handle, but I still find them distasteful.